Systems Manager now fully supports its sixth operating system: tvOS! In a variety of different industries, Apple TV is helping provide better guest experiences and increase user engagement. Educational environments around the globe, including classrooms, hallways, and entire campus structures, are becoming more technologically integrated. 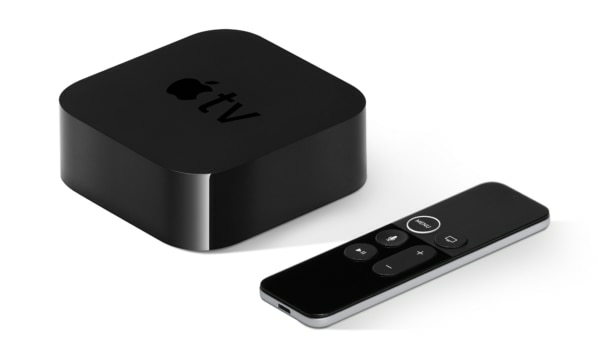 Apple TV is a common tool used by instructors to share information. Teachers are able to better engage with students while seamlessly sharing content from their iPads to on larger screens, enabling easy collaboration and spontaneous sharing between students. In the hospitality sector, making the guest experience an “at-home” experience has always been a top priority. Today it is more common to see technologies like Apple TV provide a platform for proactive and efficient communication. Employees can easily share relevant information with guests and other hotel staff, resulting in simpler and more automated hotel operations. Local recommendations, amenities, and seasonal offerings can be featured in guest rooms and around an entire hotel, allowing guests to constantly be in the know, without it interfering with their stay. Having received a ton of requests for Apple TV support from our customers, Cisco Meraki is happy to announce that Systems Manager now fully supports Apple TV (tvOS). With the addition of tvOS, Systems Manager now supports six operating systems, with tvOS joining iOS, MacOS, Android, Chrome OS, and Windows. 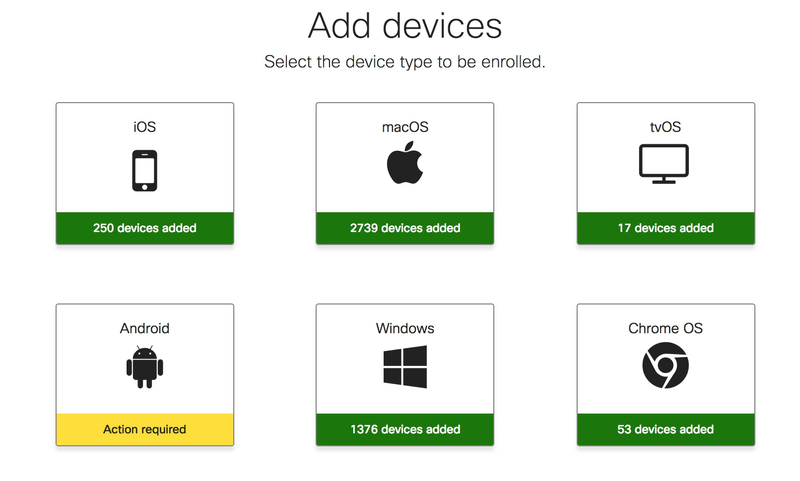 The new Systems Manager feature allows customers to manage Apple TV-enabled devices similar to mobile phones, tablets, laptops, desktops and other endpoint devices. With the way these verticals are using Apple TV and how it contributes to their business, any downtime on these devices can be costly. 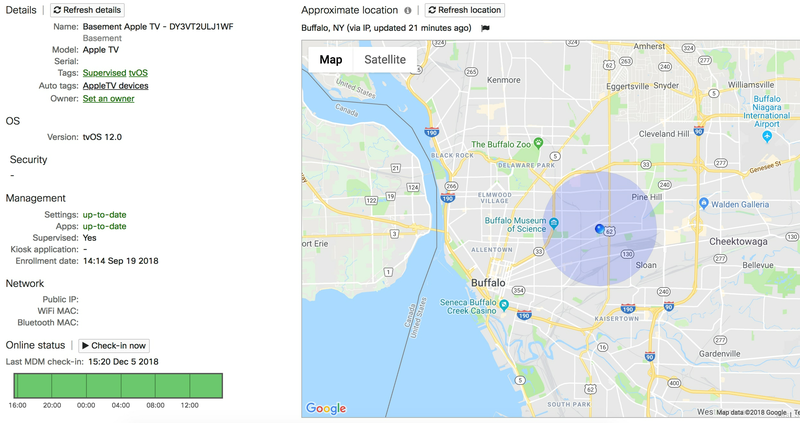 Not being able to get alerted when an Apple TV is offline, locate and erase a lost device, or enroll hundreds of devices at the same time results in a stressful and inefficient experience for IT admins. In order to optimize technologies like Apple TV for better student engagement, larger revenue streams, and improved customer experience, managing these devices needs to be intuitive, fast, and to-the-point. The list doesn’t stop there — if you are familiar with Systems Manager, the experience is built to be on par with the management of other Apple operating systems such as iOS and macOS. If you would like to learn more about Systems Manager, join us for an upcoming webinar (where you can qualify to earn free System Manager licenses), or call the Meraki sales line to start a risk-free evaluation.